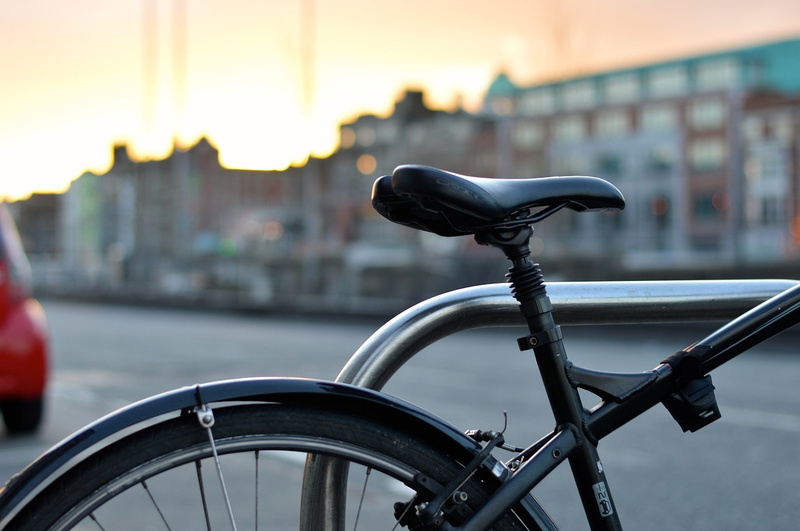 Ride Report gives cities tools to collect and analyze rich bike trip data. With Ride Report, cities get a real-time picture of how safe and effective their bike infrastructure is. Active transportation is essential to healthy communities, and getting people on bicycles is one of the best ways to do that. Lots of people want to bike, but are not comfortable riding on our current bike infrastructure. To improve this, we need better data for how cyclists use current infrastructure and react to changes. Today, bike count data collection is expensive and slow. Most cities rely on annual manual counts, collected by volunteers, for just a few peak hours of traffic. There are automated counters using pressure hoses and other sensing technology, but each counter costs $3,000-$5,000. As a result, the current state of bike data is poor, even in progressive cities like Portland and San Francisco. Our solution is a cheaper, faster way to capture bike count data, as well as qualitative data about bike rider’s experience on the roads.  Our platform, Ride Report, consists of a smartphone app, a hardware sensor and a cloud service. The smartphone app passively logs how you get around your city, and lets you provide feedback about how those trips went. We’ve developed a special algorithm in-house that can automatically detect when you get on your bike. When you start a trip somewhere, Ride Report looks at data from the gyroscope, accelerometer, GPS and other chips built into your smartphone. Based on that, it determines whether your trip is a bike trip (vs some other mode of transportation) and if it is, it starts logging the route in real time. The goal here is to make sure everything is smart and automatic (i.e. no buttons for starting or stopping a trip) so that even quick errands and such are counted. We’ve made it extremely easy to give feedback about the city’s bike infrastructure and we are already seeing success during our beta program. Our average trip length is just 1.9 miles, and over 69% of trips are rated. Our smartphone app can generate really interesting data, but we recognize that many people will not have a smartphones with our app installed. To make sure they are counted, we are building a simple hardware sensor that is part traffic counter and part beacon. The sensor counts every road user via an array of onboard physical sensors and uploads that data via what we call a ‘pollination network’. Essentially, when one of our app user moves past one of our sensors, any new data on the sensor is automatically sent to the cloud. This feature means that the hardware can be very simple as it does not need a wifi or cellular connection to talk to the cloud. Simpler hardware means that is cheaper, and the goal is to have each sensor only cost $50 to produce. This allows us to install a much denser sensor network in the city than is currently possible. The final component of Ride Report is the cloud service that syncs all this data. This service provides analytical insight into the data generated by both smartphone app and any installed sensors. We see this service being used by governments, planners and citizen advocates to ask questions, drive discussion and test solutions in their cities. 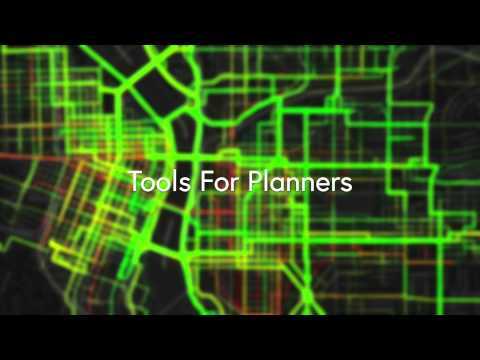 This is a tool to make it much easier to engage communities around infrastructure changes. As an example, here in Portland, OR, the city has a network of Neighborhood Greenways, which are residential streets with low volumes of auto traffic and low speeds where bicycle and pedestrians are given priority. Recently one of these greenways has been negatively impacted by construction on a neighboring street. Activists have complained that there are too many cars now trying to cut through on the greenway. The problem is that no one actually knows how many bikes and cars are using the greenway on a daily basis, there is only anecdotal evidence. It is difficult to move forward on an issue when the fundamental facts of the problem are unknown. Our solution would count both bikes and cars on this street, 24 hours a day, and provide definitive, immediate, answers on the results of any changes in street design, and allow citizens and the government to to enact change faster and with more confidence. While our service is primarily targeted at urban planners and transportation department employees, we want to provide open access to advocates, concerned citizens, and road users. Anyone will be able to access our data to see how streets are used, and anyone can use our tools to organize change in how streets in their community are used. Even people that don’t consider themselves advocates, and are just riding a bike for transportation or fun, will be counted by our hardware sensor, and can use our app to provide high-level feedback. This is important for equitable communities, as usually disadvantaged folks are left out of this conversation. William has spent years working on iOS, Android. He managed the teams responsible for Square’s 1.0 iOS and Android apps, and later created the core technology for Square Wallet’s automatic location-based payments. With Knock, William created the first always-on, unpaired application of Bluetooth Low Energy on iOS. Shipping Knock required him to hunt down bugs deep inside iOS. When begging Apple to fix these bugs didn’t work, he reverse engineered iOS to find workarounds. This expertise allows us to make full use of the smartphone and wireless technologies which form the backbone of our product. Jono is our hardware guy. He has worked with design engineering firms and overseas manufacturing companies, putting together the first units and carrying them all the way through testing, development and mass production. His expertise in hardware design and manufacturing will help us deliver a reliable, inexpensive, urban-ready product to government customers. Bobby has extensive experience in non-profit bicycle advocacy. Bobby was a founding member of CicLAvia, a non-profit organization that puts on large car-free events in Los Angeles. Bobby’s work moved CicLAvia from a bike ride with friends to a multi-million dollar non-profit event production company. Bobby’s experience in engaging city hall will help us sell a completely new kind of product to governments, while his experience in advocacy will help us create a company that is at the center of the worldwide bike advocacy movement.